Last night, our dress rehearsal for Cinderella ended, and the young actors were released to their dressing rooms to clean up for the evening. 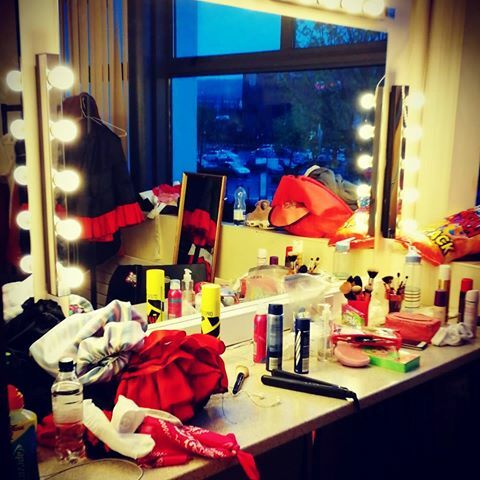 When I walked into the boys’ dressing room, I found a mess and a group of boys playing. Instead of scolding them, I said, “okay boys, let’s play a game…the first person to have their belongings picked up and packed up wins! I have cookies waiting for the winner.” In an instant, the boys were sent into a cleaning frenzy. A moment later, I realized that an eight year old boy who plays a mouse character in the show was standing next to me. He was so quiet and calm that I didn’t notice he was already completely packed up for the evening. I suddenly said, “oh! It looks like we already have a winner!” Most of the other boys in the room immediately started complaining, as most children do when they perceive something to be “NOT FAIR!” I explained to the children that they all had an equal amount of time to get packed up but it looked like the mouse made the most of his time and quickly finished his tasks. I turned and walked away to grab the cookies that I promised. When I returned to the dressing room, another adult in the room informed me that the boys complained and whined to the mouse the entire time I was gone. In order to separate the mouse from the complaints, I handed the cookies to him and said, “come on, let’s go back in the theatre.” The mouse took the three cookies from me, handed one of them to the chief of complaints, and silently walked away. The complainer was left stunned and speechless in the dressing room. Are you feeling surrounded by complainers today? Be like a mouse, silently hand them a cookie, and walk away. Congratulations to the Cast of Noel at Shine!